Purchase here, support the movement ! Tamasin Knight's first book Beyond Belief explores ways of helping people who have unusual beliefs. These are beliefs that may be called delusions, obsessions, or another kind of psychopathology. Psychiatric treatment attempts to remove these beliefs by medication and other methods. The new approach described in Beyond Belief is different. It is about accepting the individual's own reality and assisting them to cope and live with their beliefs. Beyond Belief explains the new approach in a very readable format. "Beyond Belief offers us a ground-breaking way of helping people deal with unusual beliefs. In Bradford we have found this publication to be extremely helpful to service users, workers and as the inspiration for a new self help group. I am sure that this publication will enable more people to benefit from this knowledge and approach and help us change the way we as a society approach beliefs we find unusual" (Rufus May; Clinical Psychologist, Centre for Citizenship and Community Mental Health, Bradford University, England). Dr Tamasin Knight is a public health doctor from England. James Brown the soul music artist, who died in 2006, would not use the internet because he believed the FBI has cameras with which they can spy on people through their computers. Was James Brown deluded? Well looking at the decisions and views of some world leaders, it seems to me that delusions are in the eye of the beholder. I would suggest that whether or not James Brown had a delusion about the internet is the wrong question. I would rather ask is how did James Brown cope with this belief? In James Brown's case it would be he did not use the Internet. It is because of Tamasin Knight's ground-breaking research contained here in "Beyond Belief" that I am confident this is the way to approach unusual beliefs even if the person is seen by mental health services as acutely psychotic. Rather than label and try to remove someone's unusual beliefs why not, if the person is attached to these beliefs, help them live with them? I was facilitating a self help group the other day and we started discussing paranoia. "I don't think paranoia exists," said one group member. Somebody else had some agreement with this; "there is always an important message in the feeling of fear that needs to be listened to." The self help group was called "Believe it or not!" and was inspired by the research of Tamasin Knight, that this book documents. The ground-breaking idea she puts forward is that even if someone is considered to be deluded by others, it is not the unusual belief that is the problem it is how it is dealt with. Tamasin Knight's work builds on the influential work carried out by researchers Marius Romme and Sandra Escher looking at voice hearing. Their conclusion was that society and the individuals within it need to accept that hearing voices is a normal experience for many people and there are many ways to live with the voices, we do not therefore necessarily need to get rid of people's voices in order to help them. In actuality removing people's voices has often been an unsuccessful venture. 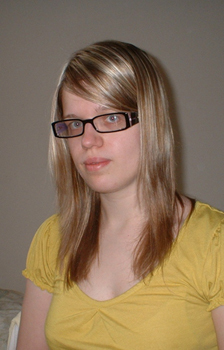 Tamasin Knight's work suggests the same holds true for unusual beliefs, that we as a society need to accept there are many ways to perceive the world and it is how people relate to their beliefs and to the world around them that is crucial to their quality of life, not the ability to think normally or rationally. The consequence of this thinking offers a real challenge to modern mental health services. Where called upon to intervene, psychiatry has tended to attempt to medicate away people's unusual thinking and modern psychological and psychosocial interventions such as cognitive behavioural therapy have sought often covertly to train people to think more rationally. Rather than trying to make people think rationally, Tamasin Knight's work suggests we should be helping people live with their unusual beliefs and get on in the world. My work as a psychologist with people receiving psychiatric services over the last ten years suggests it may actually be counter productive to try to change someone's beliefs unless this is what the person is agreeing to. What seem more helpful is to create spaces for people to explore their beliefs and share strategies that help them feel safer and more empowered. This book is a valuable guide to this way of helping people. It offers a refreshing alternative to the many cognitive behavioural text-books that seek to modify people's "deluded beliefs" often without asking permission from the person themselves. In my experience the majority of people with unusual beliefs (that mental health services may describe as delusions) do not engage with therapies that seek to change their beliefs. Accepting the unusual belief and helping someone negotiate with the wider social world, does seem to be more effective and beneficial. Traditionally this has been seen as colluding with the person's delusion and taboo in mental health practice. However colluding with a medical framework of people's problems may be far more damaging than working with someone who holds unusual beliefs in a genuinely collaborative fashion. In the hearing voices self help movement many people have shown that accepting their voices as real rather than imaginary has been helpful in their recovery journeys. For example, for many people their voices are spiritual entities. In Bradford we are working alongside traditional spiritual healers to create healing workshops that will help people deal with negative spirits. To insist on medicalizing this experience is now being recognized as culturally oppressive and colonial. It seems to me that where people get into problems with unusual beliefs, is when they become isolated with their beliefs and emotions such as fear and anger can then lead to self destructive or occasionally anti-social behaviour. The Home Office's solution to this is to get everybody suspected of having this potential on long term anti-psychotic medication at levels where they are unable to think for themselves past the basic functions of eating, washing and sleeping. However Tamasin Knight's research offers us an alternative to this Orwellian approach. We discover that many people get on with their lives as well as holding beliefs other may deem to be highly unusual. It may actually not be normal to be normal, rather it may be normal to be different and to have different beliefs about the world. We need mental health services to reflect this reality. The results of the ideas and research outlined in this book suggests that what people need is support, community and self help strategies rather than externally introduced thought control techniques and interventions. 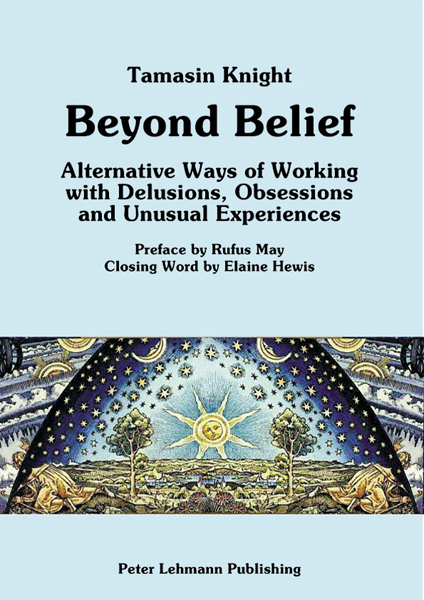 "Beyond Belief" will be a valuable resource for helping people who have unusual beliefs. In Bradford we have used it as a self help tool, and as valuable information for mental health workers and relatives of people using mental health services. "Beyond Belief" has also inspired us to set up a self help group for unusual beliefs called "Believe it or not!," I am sure that this publication will enable more people to benefit from this knowledge and approach and help us change the way we as a society approach beliefs we find unusual. This book explores ways of helping people who have unusual beliefs. These are beliefs that might get called delusions, obsessions, or another kind of psychopathology. Mainstream psychiatric treatment attempts to remove or reduce conviction in these beliefs. The approach of this book is different  it is about accepting the individual's beliefs, experiences and reality  however bizarre or delusional the person trying to help might view them to be, and then assisting the person seeking help to cope with things as they perceive them to be.